A 2015 fire destroyed a building on the corner of Independence and Prospect avenues. Neighbors and developers are at odds over a proposed strip mall at the site. A plan to build a strip mall on a vacant lot in Kansas City's Historic Northeast neighborhood is drawing the ire of some community groups. The lot, at the corner of Independence and Prospect avenues, is on the site where a fire destroyed a building in 2015. 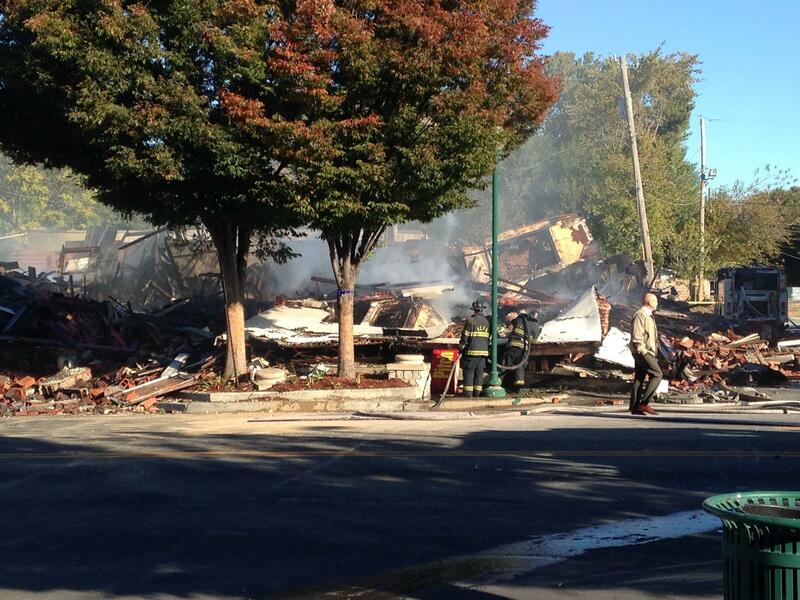 Two Kansas City firefighters died when the building collapsed. Blue Springs-based developer M.A.C. Corporation asked a city council committee Wednesday to rezone the area to build a retail center. But neighborhood leaders have united in opposition to the project, arguing the area needs more residential density — not a strip mall. Mary Cyr is director of the Northeast Alliance Together, or NEAT, which is a coalition of the six neighborhoods in the historic Northeast — Independence Plaza, Indian Mound, Lykins, Pendleton Heights, Scarritt Renaissance and Sheffield. She told the city’s planning, zoning and economic development committee that the groups envision a mixed-use residential building that includes affordable housing units. “This is a suburban-looking development that has no place in the historic northeast,” Cyr said. Independence Avenue is home to several international restaurants and a budding art scene, and Kansas City University of Medicine and Biosciences is expanding on the western edge of the corridor. Despite the concerns about the strip mall, Andrew said there is a retail gap along the Independence/Prospect corridor, adding that because the surrounding area is economically disadvantaged, it’s a risky investment. M.A.C. was awarded a 50 percent property tax abatement for the project by Economic Development Corporation of Kansas City, Andrew said, but didn't specify the type of incentive. Councilwoman Heather Hall said it’s important to have the community on board before the project moves forward. “It’s my belief … that if the community does not embrace the project, the project doesn’t happen. And if it does happen, it’s not successful because they won’t shop there,” Hall said. Several people said that they have been meeting with representatives from M.A.C. for more than a year and that the developer has not been willing to make any changes to the project. Hall, along with several other committee members, didn’t think this project was ready to come before the council. No vote was taken Wednesday, as the the committee wants the developer to meet with 3rd District councilmembers Quinton Lucas and Jermaine Reed, who weren't at the meeting. The committee will revisit the issue in July.